My road to an at-home business started with a diagnosis I didn’t know was coming. I’ve spent the last two years of my life constantly feeling tired and battling constant brain fog. That’s how I have spent every day since I was diagnosed with narcolepsy with cataplexy over two years ago. Until recently, I was working an 8 - 5 job with a 40 minute commute each way. I had to rely on others to take me to and from my job because I didn’t feel I could stay awake the entire drive. I also had to take naps under my desk at the office in order to work all day. I felt like my overall quality of life had diminished during this time. A year after my diagnosis, I knew something needed to change. As I thought about my options, I came to the conclusion that working from home would give me the freedom and flexibility to work at the times I feel best. Two years ago I was diagnosed with narcolepsy. It is a neurological disorder that affects the sleep-wake cycle of 1 in 2,000 people worldwide. 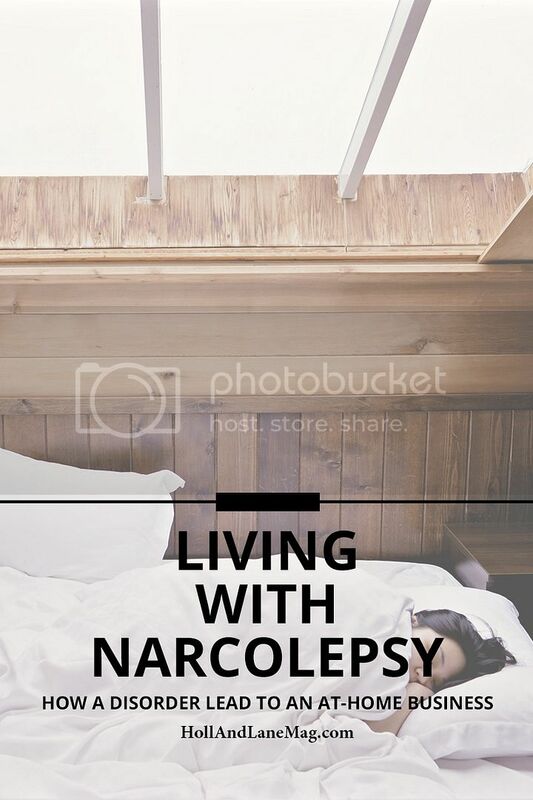 Symptoms of narcolepsy include excessive daytime sleepiness, sleep attacks, cataplexy, sleep paralysis, hallucinations and disrupted nighttime sleep. Doctors believe the disease is autoimmune related, but are not sure what causes it. Dealing with narcolepsy has changed my life, but I have not let it over take my life. With the help of medication and two or three quick naps a day, I have been able to build my business over the past year. About a month ago I was able to go full-time in business. Being able to craft my schedule around the times I work best has made me more productive and feel more fulfilled. While I would never wish narcolepsy on anyone, I am grateful for the opportunity to pursue work I truly enjoy. Remember, getting sleep is one of the most important things you can do for your body. Adults need 7+ hours of sleep each night. Not getting enough sleep can lead to weight gain, depression, high blood pressure and more. Everyone needs more sleep education, especially doctors. Learn more about sleep. Katie Williamsen is the web and social media strategist behind Katie Williamsen Web & Social Media Consulting, LLC. She teaches lady bosses how to make what they already have even better. This will lead to more conversions, higher sales and more raving fans! When I'm not strategizing with clients, blogging or planning, I'm spending time with my husband, Chad, and our pup, Hobbes.